It was a great gimmick. It had certainly worked for Harold Lloyd, and indeed for Clark Kent - just a pair of round horn-rimmed glasses. In the early 1960s, a 21 year-old Brooklyn-born dancer named Carole Stuppler was hired to become one of the dancers on ABC-TV's SHINDIG. She put on a pair of round horn-rimmed glasses, changed her name to Carole Shelyne (pronounced "she-lin"), and danced her little heart out. I suppose the glasses (which were lens-less, like the ones Phil Silvers wore - so they wouldn't reflect studio lights) could have been a further change of identity to protect her privacy, like her name change, but they also helped her to stand out. 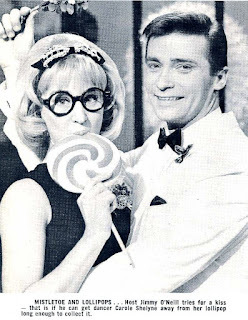 The Shindig dancers - which included Teri Garr, Anita Mann, Pam Freeman, Brenda Benet and the curiously named Maria Ghava - were all accomplished go-go spirits, but regardless of the choreography, the eye was somehow always drawn to those glasses. At least mine was. I was eight when SHINDIG premiered in 1964, and suddenly going on 12, thanks to this vision of perky kookiness calling herself Carole Shelyne. She was an early crush of mine, and I just learned the other day that she died last June, at the age of 71. The IMDb credits Carolyne Barry - the name she eventually settled on - with appearing on 45 episodes of SHINDIG between 1964 and 1965. On one of those episodes, she stepped into the spotlight to perform a song from a novelty single she had just recorded for Liberty Records, "The Girl With the Horn-Rimmed Glasses." It had even better B-side called "Boys Do Make Passes At Girls Who Wear Glasses," written by the songwriting team of Guy Hemric and Jerry Styner, whose astonishing list of credits include numerous songs for AIP movies, including all the BEACH PARTY pictures, both DR GOLDFOOT pictures, WILD IN THE STREETS and GODZILLA VS THE SMOG MONSTER ("Save The Earth")! Hemric-Styner also wrote a song called "These Are the Good Times," which Frankie Avalon performed on THE PATTY DUKE SHOW - where Carole followed a MR NOVAK dramatic debut ("Beat the Ploughshare, Edge the Sword") with a special guest performance in an episode called "Patty's Private Pygmalion." Here, sporting the familiar round specs, she played a high school wallflower named Marcia, whom the outgoing Patty Lane grooms to become so popular that she ends up losing her own date to her. The performance that Carole gave here was surprisingly vulnerable and poignant, while also showing unsuspected range in the opposite direction, and the script by Arnold Horwitt (whom I'm surprised to see also wrote one of my favorite GREEN ACRES episodes, "The Case of the Hooterville Refund Fraud") ventured some surprisingly candid comments about teenage jealousy. When people look back on THE PATTY DUKE SHOW, this is one of the episodes they typically remember. 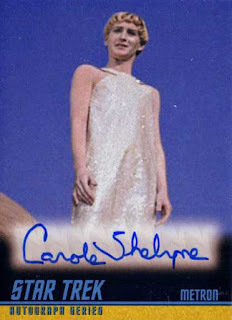 But it was Carole's performance as Marvin (yes, Marvin) in the 1966 spy-beach spoof OUT OF SIGHT that really got to me. If the BEACH PARTY movies were like MAD magazine, OUT OF SIGHT is like those oddball DC Comics comedy titles like ANGEL AND THE APE or THE INFERIOR FIVE, and it has a consistently great score produced by Nick Venet and anonymously played by the famous Wrecking Crew, with guest musical appearances by Gary Lewis and the Playboys, The Turtles, The Astronauts, Dobie Gray and The Knickerbockers. The songs are fantastic. Directed by Lennie Weinrib (one of the constables who investigate Peter Lorre's cellar in TALES OF TERROR, and later the voice of H.R. Pufnstuf himself) and scripted by future LAUGH-IN cast member Larry Hovis, it's a vehicle for a young comic actor named Jonathan Daly, a charming composite of Robert Vaughn, Jerry Lewis and Nancy Kulp. Daly plays Homer, the hapless, envious butler of top secret agent John Stamp, who poses as his absent boss to disrupt the plan of Russian spy Big D (John Lawrence) to destroy all teenagers - because all their "yeah yeah yeah" nonsense annoys him. Marvin is a bespectacled wallflower of a girl who gloms onto Homer as her date for the festival Big D is sponsoring to lure the biggest of all British long-haired bands to their destruction. "He's just my type - a BOY!" she gushes. As the movie continues, we realize that it doesn't really have the Beatles in store; the biggest British long-haired band is Freddie and the Dreamers! (Unless you're watching the band in performance from behind them - then they become stock footage of the Beatles!) Anyway, I loved it when I first saw it in December 1966 and I still do. On the night I learned of Carole's passing, I pulled out my trusty DVD-R copy of OUT OF SIGHT - recorded from AMC during that wonderful period when they were gearing up for that too-good-to-be-true "American Pop" spin-off channel that never happened - and watched it as my candlelight vigil. She's in the film somewhat less than I remembered, but in the course of its madcap 87 minutes, she has two lines that I imagine imprinted themselves on me deeply. At the end of the film, Marvin reveals that she has seen through Homer's disguise from the very beginning, and when he asks how she possibly did this, she deadpans, "I read a lot." Well. Four words straight to my heart. Secondly, as she explains her liking for Homer twice in the movie, "I go for the weird ones." And ever since seeing OUT OF SIGHT, I did, do, and probably always will. 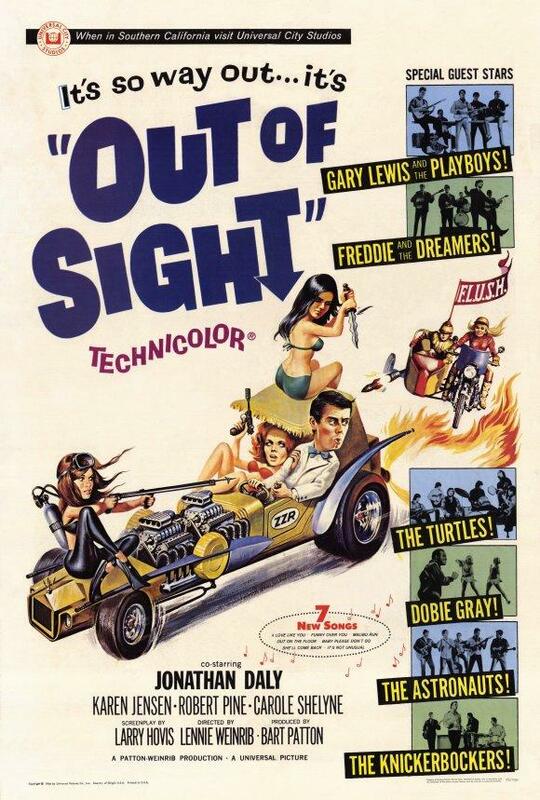 After OUT OF SIGHT, which lived up to its name at the box office, being one of those summer pictures that end up playing at drive-ins during "free in-car heater" season, Carole seems to have retired her horn-rimmed glasses image but continued to act on series like STAR TREK ("Arena") and THE MAN FROM U.N.C.L.E. ("The Cap and Gown Affair"), and there was also a recurring role as Franny on the ABC series HERE COME THE BRIDES, starring her SHINDIG co-worker Bobby Sherman. In 1976, she actually scripted a low-budget horror movie, DARK AUGUST, starring herself, Kim Hunter, and the top-lined J.J. Barry - a veteran of LAUGH-IN's second season. I assume that she married her star around this time, as her subsequent credits - including a part on the 1988 STAR TREK: THE NEXT GENERATION episode "Home Soil" - settle on the name Carolyne Barry. 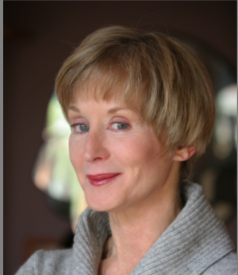 In the early 1980s, Carolyne parlayed her experience (which included appearances in some 400 television commercials) into the founding of the Professional Artist Group, the Carolyne Barry Workshops, and finally Carolyne Barry Creative - all acting workshops in which she trained students not only how to act, but how to successfully audition and land roles. On YouTube there are a number of videos that eavesdrop on her seminars, and they show her to be an effective and personable instructor. In this role, she reminds me a great deal of my late friend Mary Dawne Arden, a former actress and model who went on to found Arden Associates, who had a similar gift for public speaking and directing people to their secret potential. In my early years on Facebook, I found a page for Carolyne and took the opportunity - as I've often done there with people I admire - to send her a note of appreciation. I expressed my particular liking for OUT OF SIGHT (which may have led her to think I was some kind of crank) and shared that her "horn-rimmed glasses girl" character had been responsible for a character trait in myself that had always served me in good stead - to judge women not by their looks, but by their personal character. 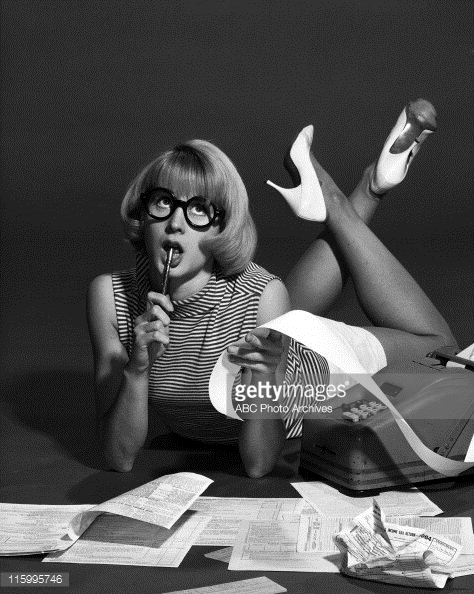 Indeed, I had married a blonde who wore glasses, and she was one of "the weird ones." Unfortunately, the reply I received seemed confused and wary; it gave me the feeling that she didn't often receive fan letters and perhaps didn't quite know how to deal with that kind of well-meaning intrusion. Before I could reply, a postscript followed from her, apologizing and explaining that she had a sister who was dying of cancer, which was very much on her mind - and, as quickly as that confession came out, thanking me for writing. I wrote back, to thank her for following up, to send my regrets and my wishes for only the very best for her and her sister. So we didn't become friends, but we didn't have to. Her life had touched mine, so I wanted to touch hers back. I know now, from reading numerous online testimonials from her colleagues and students, what a positive force she was in so many lives, in both her incarnations. Godspeed to her horn-rimmed spirit.